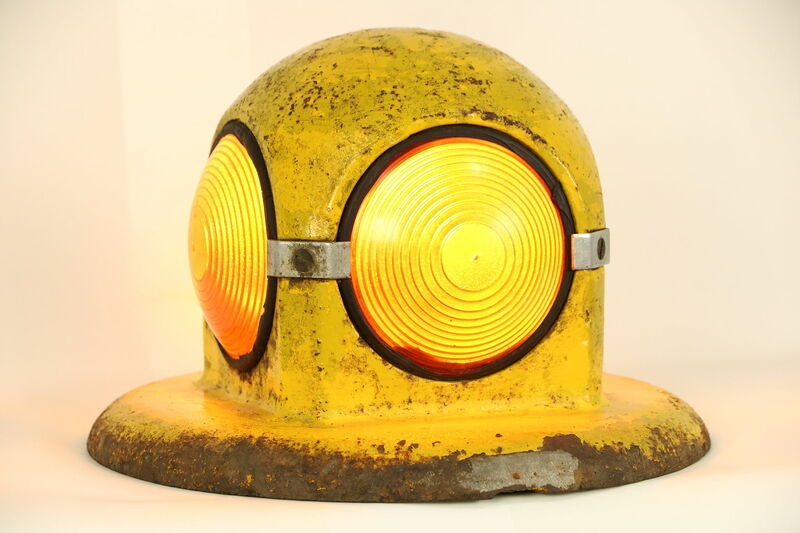 A cast iron traffic marker light from the 1940's has old worn paint and original lenses. This vintage light has been rewired with a standard base socket and cord with an inline switch. Size is 14" diameter and 10" tall. See 20 photos on Harp Gallery website that enlarge to full screen size.